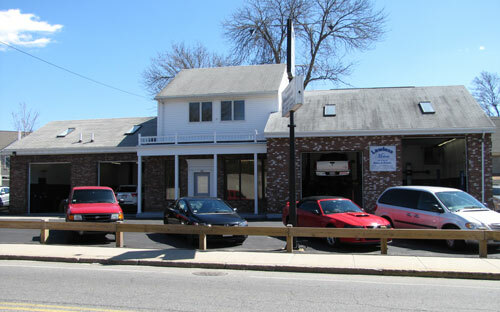 Lawless Motors is proud to offer the Massachusetts Vehicle Inspections. Your vehicle inspection helps maintain clean air and safe roads. Don’t wait until the end of the month, come get your car inspected today! By bringing your vehicle to Lawless Motors Service Center for all your service and repair needs, from regularly scheduled appointments to major repairs, you can count on a continued driving experience unlike any other - for every single mile of your lease or ownership. Shopping For Your Next New Or Used Vehicle? Lawless Chrysler Jeep Dodge is a Chrysler Jeep Dodge Five Star Dealer and we do our utmost to make sure that each and every one of our guests feels completely satisfied. We bring over fifty years of professional sales and service to the community. We made your vehicle the superior vehicle it is today and we want to ensure it remains that way - whether it's taken you 10,000 miles or 100,000 miles. That's why Lawless Motors offers service and repair, so you have access to the latest specialized technology and precise analysis from trained technicians who undergo regular, frequent training so they're always up-to-date on every component of your vehicle. Check engine light came back on after two separate attempts to repair by replacing parts and spending about $1200 so far on what they think issue was. Called Friday during normal work hours and got service voicemail but no one called me back. 2012 Dodge Charger. When the vehicles i have need repairs Lawless has always been accommodating to me needs and schedule. The have picked us up and shuttle us or we waited in a comfortable waiting area. Frank was extremely helpful in assisting me with getting my oil warranty program sorted out as well as explaining near-term service needs fir my Jeep.